with radial air circulation and auto shut facility. • Size of the working chamber : 12 inch X 12 inch X 12 inch*. • Material of construction : M.S. • Temperature range : Ambient to 250ºC. • Air circulation : Radial fan (It saves power at least 20% by re-circulating the same hot air inside the oven). • Timer : Digital presettable with range upto 999 minutes. 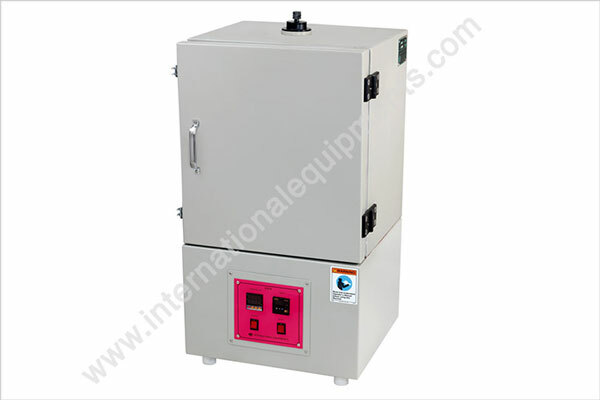 • Power supply : 230 Volts, 50Hz, single phase.